Although it looks in a bad way and ripe for demolition, this box happily survives and is much better condition today. 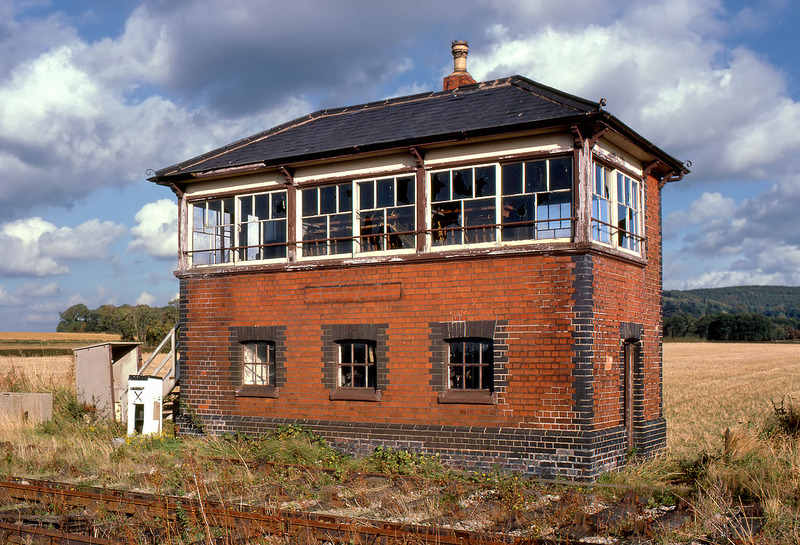 This is Toddington Signal Box on the Gloucestershire Warwickshire Railway, pictured on 14 October 1979, before the society took over and just before the track was lifted. Although there are a few broken windows and the nameboard has gone, the frame can still be seen in situ and the brickwork is generally in good order. From this angle it appears that the down main line has been lifted, but in fact only one section of rail had been removed from in front of the box, all other trackwork in the station area being complete.